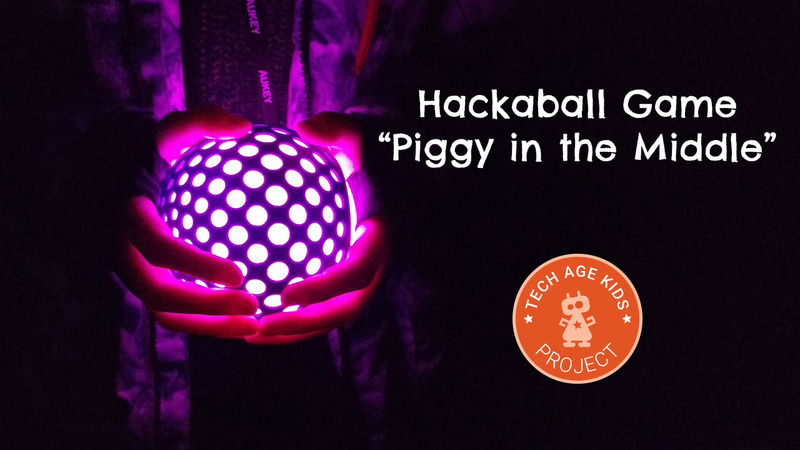 Hackaball is a fab programmable ball that kids can use to create their own games. I created a quick catch game to try it out. After playing the game and learning that Hackaball is programmable my 8 year old said he wanted to create a version of Piggy in the Middle, one of his favourite playground games. Piggy in the Middle is a three player game. One person stands in the middle while the two others play catch, the piggy tries to get the ball off them. When the piggy succeeds they swap with the player who threw the ball and the game continues. Hackaball can help make the game more fun and resolve any disputes. "The coding isn't easy at first glance, but after a while it's simple. Basically, you say when something happens you do something." The coding is drag and drop and very visual, though we found ourselves reading the text more than recognising the icons. There is a video that demonstrates the coding but it uses text rather than voice and my son was impatient to get coding. It's a useful introduction for parents to watch though. 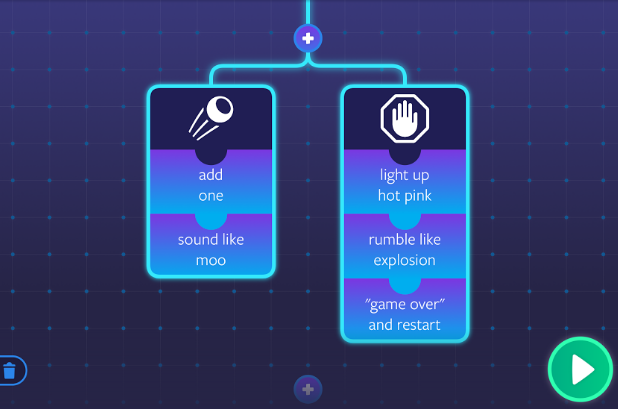 My 8 year old coded the game with a little bit of assistance after looking at how the catch surprise game worked. He designed the behaviour of the game and was able to understand the logic of it and choose all the effects he wanted. Then the game starts all over again with a new piggy. The piggy also gets to escape if the other players drop the ball and it stays still and turns pink. My kids love playing physical games like piggy in the middle, but sometimes the draw of slither.io is strong. Hackaball is just the thing to get them to start doing something more active and then they tend to keep going. The process of designing a game and thinking about how it should work and then programming Hackaball was brilliant. Having a really concrete (and fun) outcome for his efforts is really motivating for my 8 year old son. It's useful that you can keep multiple games in the app and then quickly load them on to Hackaball when they want to play something different, though this is less convenient when we're at the park and don't really want to take an iPad with us (those with an iPhone or iPod will find it easier.) We tend to pick a game before we head out and then stick with it for that session. Piggy in the Middle is a popular choice.